Granite remains on top in popularity when it comes to countertops, floors, and backsplashes. But even though it’s one of the most common stones in households today, many homeowners don’t know the proper way to care for this beautiful stone. Sealing granite surfaces won’t make your stone stain-proof, but it will help make it more resistant to stains. Just make sure you’re using a sealer that’s non-toxic and safe if it’s your countertop. Stock up on coasters — drinks with alcohol or citrus juices can end up leaving glass stains. 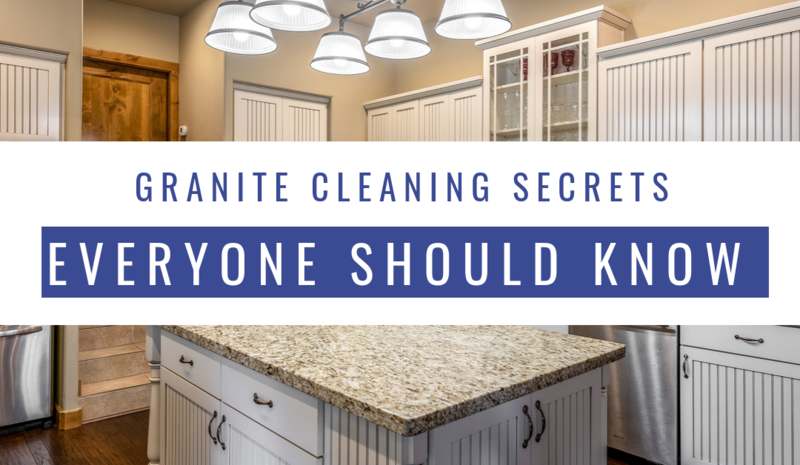 Also, don’t store staining items such as cooking oils on your granite countertops either. And if there’s a spill, blot the stain (don’t wipe) and use a water and dishwashing liquid mixture to get the stain out. Granite contains trace levels of minerals, making it very acid sensitive. Our team suggests staying away from any harsh cleaners and cleaning ingredients that contain lemon, vinegar, or other acids.